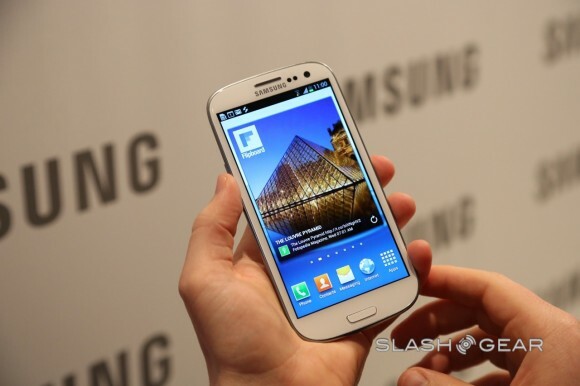 The Samsung Galaxy S III was announced in London less than a week ago, and one of the features that it brought to the table was the introduction of Flipboard for Android. It marked the first time the news aggregation app had made the jump, but more importantly it was dubbed as a Galaxy S III exclusive. It won’t make its way to the Play Store or other Android devices for a time, but less than a week since that revelation, the APK has been ripped. Devices seem to be making their way out into the wild, and one user has already ripped the Flipboard APK and posted it up on xda-developers for all to enjoy. As long as you enable installation of “untrusted” sources in the Android settings, you can get in on the action right now.